Sharon Marie Tate was born on January 24, 1943, to Colonel Paul James Tate and his wife, Doris Gwendolyn Willett-Tate. Her father was in the U.S. Army, and was transfered many times during Sharon's childhood. Her younger sisters, Debra (born November 6, 1952), and Patricia (born October 30, 1957 and died on June 3, 2000), were very close to their older sister. Throughout her young life, Sharon lived in various states, and even foreign countries, such as Italy. She was engaged to hair stylist Jay Sebring, but she broke it off. When she introduced Roman to Jay, the two got along superbly, and Jay gave them his blessing. Her niece, Brie Tate, has published a book about her family's quest for justice, entitled "Restless Souls". Abigail Anne "Gibby" Folger was born on August 11, 1943. Her great-grandfather was the founder of Folger's Coffee, J. A. Folger. Before her death, she worked as a volunteer social worker for the Los Angeles County Department of Welfare. She was an avid supporter of Tom Bradley, a councilman turned mayoral elect. She received a total of 28 stab wounds, one being to her aorta, which was deemed as the fatal blow. According to reports, her final words were "You can stop now. I'm already dead." Jay Sebring was born Thomas J. Kummer on October 10, 1933. He was a hairstylist known in Hollywood for his work with Bruce Lee, Adam West, and other celebrities. He was once engaged to Sharon Tate, but she broke it off. When she told him about her relationship with Roman Polanski, he wanted to meet Roman to see if he would approve. He liked Roman so much, he gave them his blessing. They remained close friends, with Jay living a few streets away from the house that he would ultimately spend his last night alive in. He was stabbed 7 times, three of these wounds being potentially fatal, as well as being shot once, also this wound was considered potentially fatal. His face was also horribly beaten and bloodied, with post-mortem swelling and discoloration. A towel had been thrown over his face, and when police officers removed the towel, they were horrified by what they uncovered. Voytek Frykowski was born on December 22, 1936. 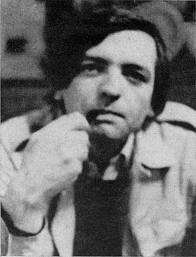 He was the lover of Abigail Folger and a childhood friend of Roman Polanski. He asked one of his attackers, Charles "Tex" Watson, who he was, and was given the response of "I am the devil. I'm here to do the devil's business. Give me all your money." Voytek was shot twice, beaten thirteen times over the head with a blunt object, and stabbed a total of 51 times. Steven Parent was born on February 12, 1951. His parents were Wilfred Parent and Juanita Parent. At the time of his death, he was in his father's AMC Rambler at the driveway of 10050 Cielo Drive. He was about to leave when he was killed. He had been visiting William Garretson, the caretaker hired by Rudy Altobelli, trying to sell a clock/radio. He had gotten into his car, and that's as far as he made it before his life was cut short. He was killed by Charles "Tex" Watson, receiving multiple stab wounds, gunshot wounds, and a defensive slash wound on his wrist. Leno LaBianca was born on August 6, 1925. He was a grocery store owner who lived with his wife and stepson in Los Feliz. The extent of his injuries were numerous stab wounds, and the word "War" had been carved into his torso. 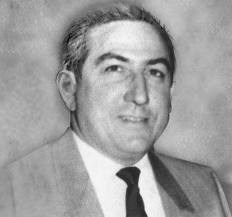 Born Pasqualino Antonio LaBianca, his family was in the business of marketing since he was a small child. 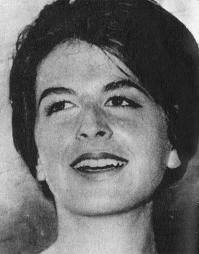 Rosemary LaBianca was born on December 5, 1930, and died on August 10, 1969. She was married to Leno LaBianca, the owner of a grocery store. She too received numerous stab wounds, many of which were on her back and rear end. Born Ruth Katherine Elliott, her mother took her and her brother William to live with her, while their father took her two sisters with him. 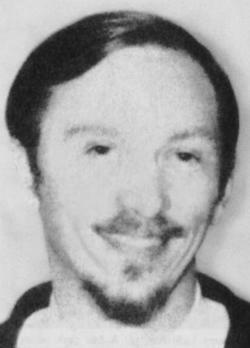 Gary Hinman was the first victim of the Manson Family in the summer of 1969. A music teacher and drug dealer, he lived in Topanga Canyon. 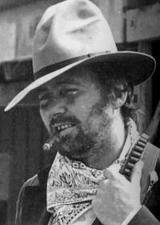 Shorty Shea was one of the hired hands around George Spahn's ranch. After a raid of Spahn Ranch on August 16, 1969, Charlie got the idea into his head that Shorty had sold him out to the police on an auto theft. After the police left, Steve Grogan, Tex Watson, Bill Vance, Larry Bailey, and Charlie himself killed Shorty. Zero's death has never been confirmed as one of the Manson Family's killings, as it appeared to be an unlucky round of Russian Roulette. 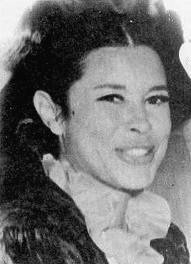 Ronald Hughes's death has never been deemed as caused by the Family, as he was Leslie Van Houten's lawyer at the time that the trial began. One morning, he was due in court, as were the other lawyers defending the Manson Family. However, he didn't arrive at all that day. 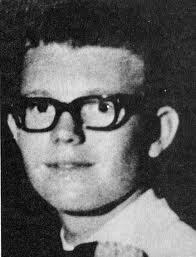 His body went undiscovered for months, until March 29, 1971, when it was found stuffed in between two boulders. His body was severely decomposed, and was positively identified by dental x-rays that were on file. He had gone camping for the weekend with friends, but he decided to stay behind when their truck became lodged in mud. He was never seen alive again.